Finger foods are where it is at...between holiday parties, cocktail parties, football parties. It seems everywhere you look right now, there are suggestions for the simple one bites of tastiness. This recipe is one that is great for potlucks and will not disappoint. We went out to dinner with family last month to a fun restaurant in the Twin Cities called Ike's. 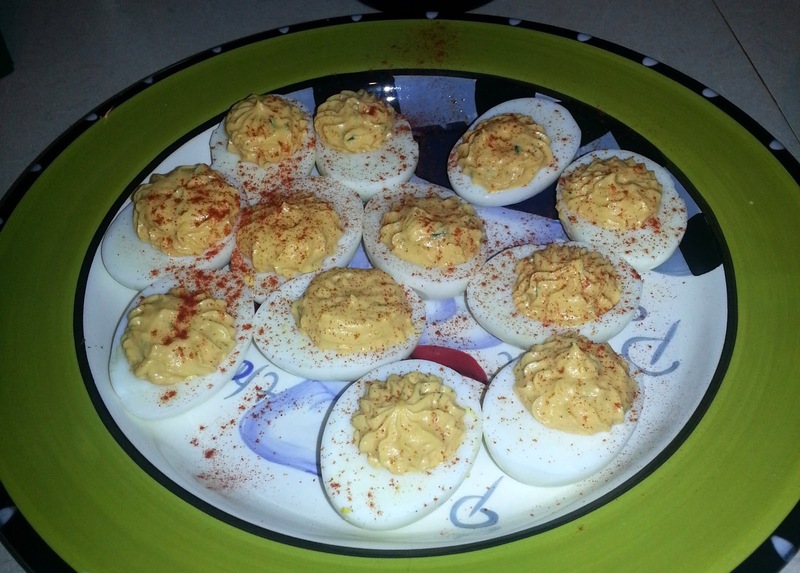 They serve Deviled Eggs on their menu that were amazingly creamy, cool and spicy with a kick. They were great and I wanted to figure them out. Normally, when I search the web, I can find someone's recipe for restaurants recipes. Not in this case, but I guess maybe I'm that person for this one. 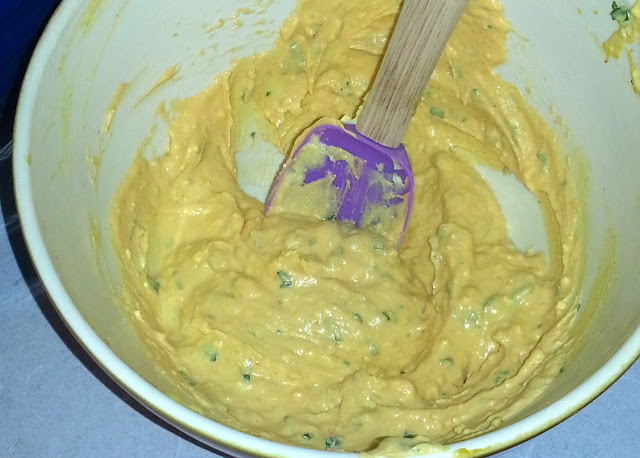 Now, that being said, this is not an exact replica of that recipe, but it is a fun zesty and fresh new way to make deviled eggs. Hard boil the eggs and peel off the shells. 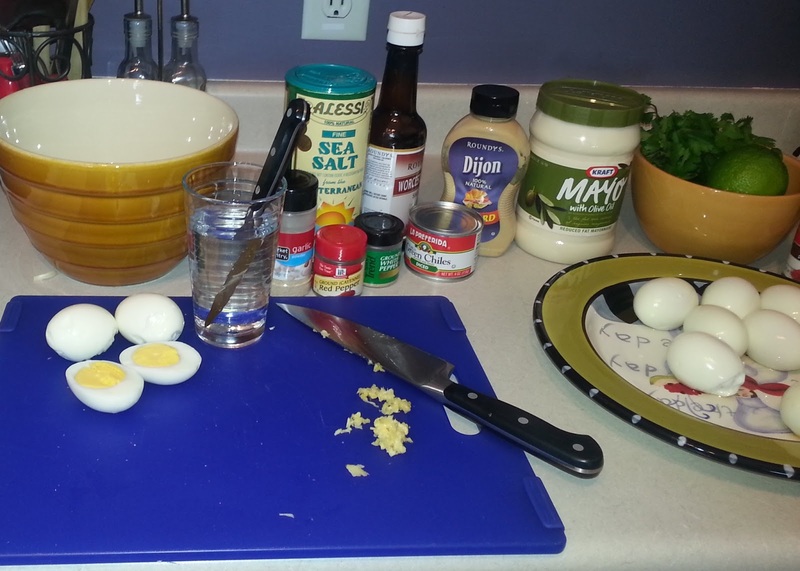 Slice eggs the long way down the center using a sharp knife and dipping the knife into cold water before slicing. Put all the yolks into a bowl. Add the remaining ingredients to the yolks and stir together. Taste and add more chilis, siracha, lime or salt if needed. Arrange the egg whites on a platter or egg plate. Fill the whites with the deviled egg mixture by spooning it in or by using a piping bag with a star tip. Sprinkle top lightly with chopped cilantro and paprika.